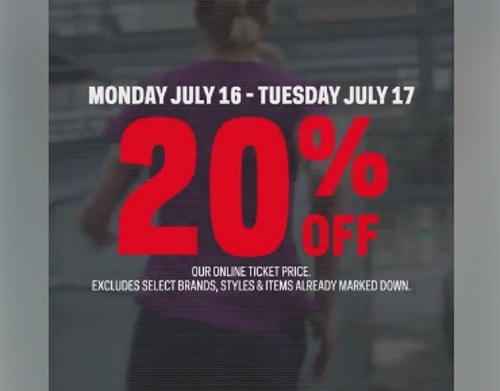 Sportchek has a sale on right now! Save 20% the online ticket price! Excludes select brands, styles and already marked down items. Enter the promo code SUMMER20 to get the discount. Offer is valid for two days only, July 16-17 2018.